The budget smartphone market has witnessed a lot of changes in the recent times. From being bulky devices with mediocre specifications and features serving only the basic needs, this category has undergone a great transformation. Of late, the budget smartphones come with a good set of specifications and features making them on par with the devices of a higher pricing. There are some good players in the budget market segment such as Xiaomi, Realme, Honor and more. 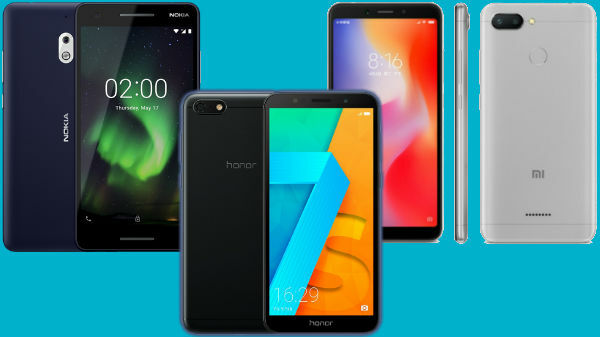 These brands have come up with an array of budget smartphones and most such offerings are the bestsellers in the market right now. Given that the budget smartphones priced under Rs. 10,000 have carved a niche for themselves in the Indian market, here we have come up with a list of budget smartphones launched so far this year priced under Rs. 7,000 in India right now.